Have you given any thought to being a full member of this Association? In addition to membership, in the first year a refundable bond of $100 must be paid before competing. Our membership entitles you to 12 months subscription to our magazine Rodeo News, entitles you and a companion into any rodeo you are competing at FREE and voting rights. It also gives automatic membership to the rodeo circuit in your state, therefore when you win money at a rodeo your earnings not only go to the National Standings but also the standings in your circuit. Obviously you have an interest in rodeo which we as the governing body of professional rodeo in this country would like to develop. With over 50 years of history, 90% of major rodeos affiliate with us and we are the only Australian Rodeo Association recognised by both the International Federation of Professional Rodeo and a number of State Government bodies, the APRA is arguably the leading organisation governing rodeo in Australia. You can obtain a membership form by clicking on the link below. 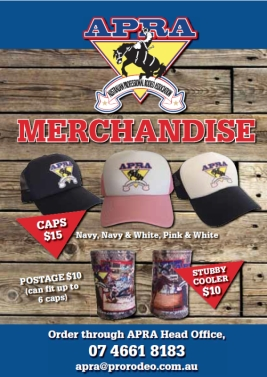 If you wish to join the Australian Professional Rodeo Association or would like more information, please don't hesitate to contact us. 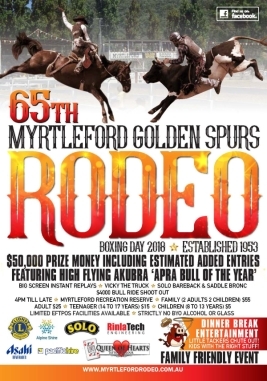 If you are wanting to compete straight away fax (07) 46614990 or email apra@prorodeo.com.au the form through and phone the Head Office (07) 46618183 to get your membership number so you can ring Central Entries (07) 46614766 immediately otherwise your New Member Pack and Membership Card will be posted to you in the mail. A member over 18 joins as a permit member. Once they have won $6000 accumulative they become an open member. Open members are no longer eligible to compete in second division events (special permission may be granted to continue competing in second division events upon application to the Board of Directors). Stock Contractors, Pick Up Men and Bullfighters must be Open Members. Judges, Photographers, Chute Bosses & Announcers must be Non-Competing Members. Included in each member's entry fees is access to personal accident insurance. Please click here to view the schedule of benefits. If you turn 18 between 1st May 2017 - 30th April 2018 you must join as a senior member.